When it comes to the whereabouts of Edward Snowden, there has been far more conjecture than concrete fact. While Washington would do anything to get its hands on the whistleblower, tracking down Snowden has turned into a full-on cloak and dagger affair. On Sunday Edward Snowden left Chinese territory two days after espionage charges were leveled against him, setting off an international game of cat and mouse which has the United States’ massive global intelligence apparatus trying to cut the former National Security Agency (NSA) contractor off at the pass. The White House for its part seemed to be certain that Snowden did in fact reach Moscow after taking off from Hong Kong on Sunday. “I’m not going to get into specifics, but it is our understanding that he is still in Russia,” Carney continued. 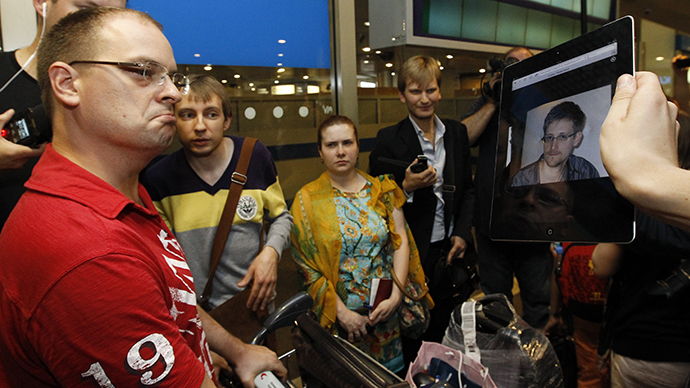 "We have asked the Russians to look at all the options and expel Snowden to the US,” he said. WikiLeaks founder Julian Assange has said on Monday that Snowden was in a “safe place.” Assange, who was unable to give further information as to Snowden’s whereabouts, claimed that Snowden had left Hong Kong on June 23 “bound for Ecuador via a safe pass through Russia and other states." Shortly after Snowden allegedly arrived in Moscow, the government of Ecuador announced it had received an asylum request from the fugitive whistleblower. Assange claimed Snowden, whose passport was reportedly revoked one day prior to his departure from Hong Kong, was further granted a refugee document of passage. It has been reported that Snowden was snaking his way around the globe to avoid capture, with a complicated route which would have seen him fly from Moscow to Caracas via Havana, with the expectation that he would later travel on to the Ecuadorian capital, Quito. While the state-controlled Russian airline Aeroflot said that he had checked in for flight SU150 to Havana with two seats (17A and 17C) in his name on Monday, seemingly half the world’s press corps was on board, but Snowden was conspicuously absent. The fact that he failed to board a Moscow-to-Havana flight on Monday following his hasty escape from Hong Kong one day prior begs the question: did the world’s most infamous whistleblower step foot on Russian soil at all? The government of Hong Kong never specified Snowden’s destination, only stating that he had in fact left Chinese territory for “a third country” on Sunday. The Russian government has made no official comment regarding his alleged arrival either. 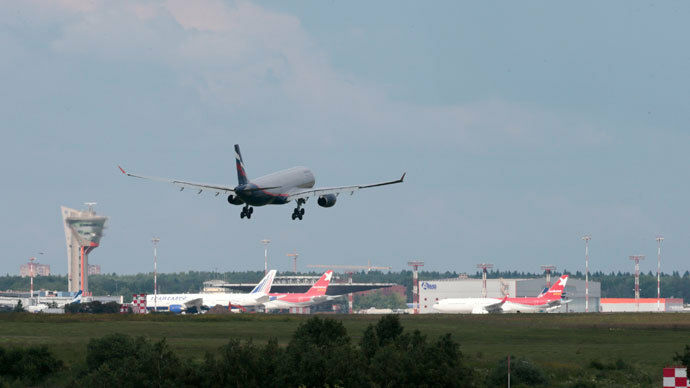 Although reporters noted the heavy presence of Russian security services at Moscow’s Sheremetyevo Airport, Vladimir Putin’s spokesman Dmitry Peskov disavowed any knowledge of Snowden’s arrival in the Russian capital. “I don’t [know if he's planning to stay in Moscow]. I heard about his potential arrival from the press. I know nothing,” Peskov told the Guardian on Sunday. When RT contacted Russia’s Federal Security Service (FSB) regarding the matter, the agency declined to comment. With no corroborating video footage, the only actual proof that Snowden arrived in Moscow on Sunday evening stem from three primary sources: WikiLeaks, the government of Ecuador and anonymous sources working within the airport. WikiLeaks, whose representative Sarah Harrison reportedly accompanied Snowden on the flight, regularly sent out tweets up until flight SU213 touched down in the Russian capital around 5pm local time (13:00 GMT). The anti-secrecy group said in a statement that the former CIA technician is on his way to Ecuador "via a safe route for the purposes of asylum, and is being escorted by diplomats and legal advisors from WikiLeaks." A source from within WikiLeaks, speaking on condition of anonymity, confirmed to RT that the rogue NSA leaker was indeed on the flight, passing on the names of Ecuadorian officials who were slated to meet Snowden at the airport. 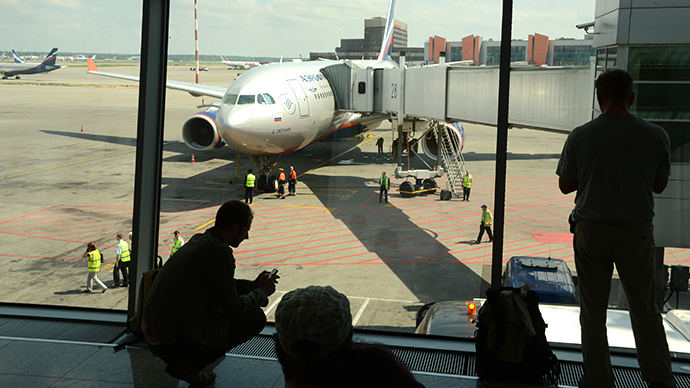 An unnamed Aeroflot official also informed Russia’s ITAR-Tass news agency that the former CIA technician was indeed on board Flight SU213 which landed in Moscow. 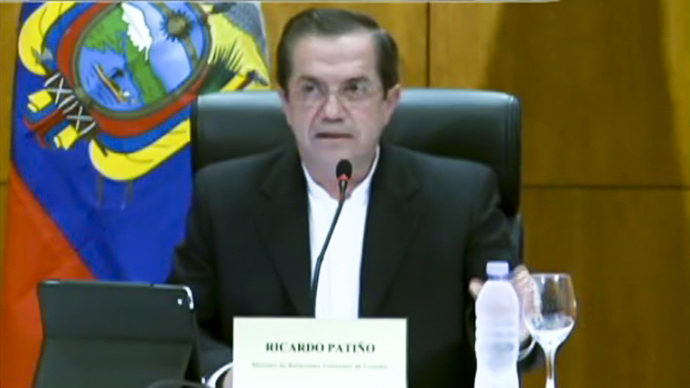 Shortly after flight 213 landed, Ecuadorian Foreign Minister Ricardo Patino tweeted that “The Government of Ecuador had received an asylum request from Edward J. 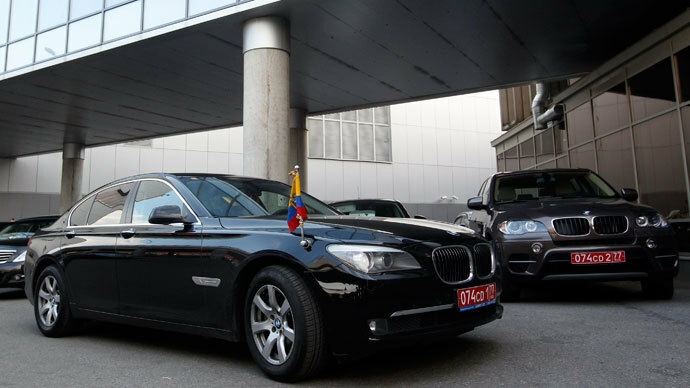 #Snowden.” Cars baring license plates for the Ecuadorian diplomatic mission were spotted at Moscow International Airport Sheremetyevo. Ecuador's ambassador to Russia, Chavez Zavala, was also seen at the airport. Just moments before stepping into a hotel on the airport’s premises, he reportedly told journalists: "We're waiting for [Sarah] Harrison. We're going to talk to them." Although Snowden had reportedly taken a suite at the V-Express Capsule Hotel in Terminal E of the airport’s transit area, no visual confirmation of the former contractor has surfaced despite the myriad passengers and swarm of journalists staking out quite possibly the world’s most wanted man. A source at Aeroflot told Interfax news agency that Snowden had checked into the hotel, noting that “he cannot leave the terminal as he has no Russian visa." Harrison, he added, did have a Russian visa. “Everything has been done to allow Snowden to spend the night peacefully at the airport's capsule hotel and to fly quietly to Cuba," the source continued. However, on Monday evening a source at the hotel noted to RT's Ruptly video agency that Snowden had in fact never checked in or out of the facility. It bears recalling that WikiLeaks, which did everything possible to draw attention to Snowden’s location between takeoff and landing, has a vested interest in concealing the whistleblower's actual movements. Ecuador has already shown its willingness to take big political risks by granting Assange diplomatic asylum at its London embassy, where the WikiLeaks founder has remained holed up for over a year. With round-the-clock police surveillance and a diplomatic standoff with the UK government set to last for years, Quito might have decided to avoid another diplomatic showdown by facilitating Snowden’s safe passage before he arrives in Ecuador. RT’s Irina Galushko later observed there were at least four flights leaving on Monday that could put Snowden on route to Ecuador. A source familiar with the situation earlier told Interfax that Snowden might take the next flight to Latin America via Cuba. Like so much other information that has leaked out of Moscow’s international hub, nothing ever materialized. The same source later told Interfax that Snowden was probably already outside of the Russian Federation. 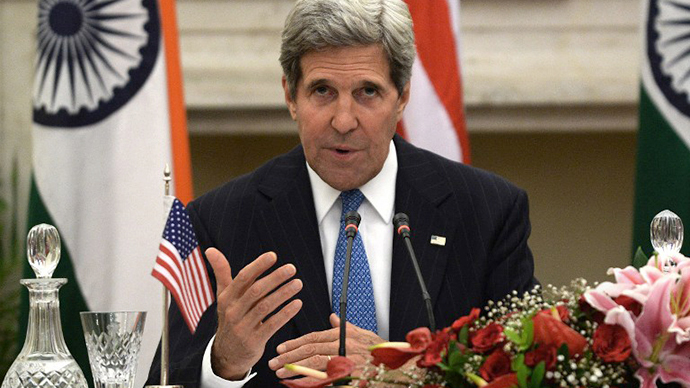 Speaking at a joint press conference with his Indian counterpart in New Delhi, Secretary of State John Kerry said he had no knowledge of Snowden’s final destination, adding he would be deeply troubled if Moscow or China had prior notice of Snowden’s travel plans. More baffling to Washington is how Snowden ever left Hong Kong as his passport had been revoked one day prior. On the same day, the US asked Hong Kong to hand over Snowden under the terms of a 1998 extradition treaty with the Chinese territory. “As the HKSAR government has yet to have sufficient information to process the request for provisional warrant of arrest, there is no legal basis to restrict Mr Snowden from leaving Hong Kong. 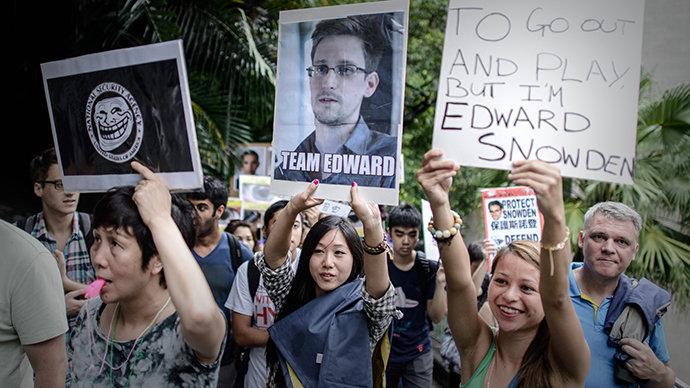 The HKSAR government has already informed the US government of Mr Snowden's departure,” the statement continued. On Friday, federal prosecutors filed a criminal complaint against Snowden for leaking a trove of documents regarding the NSA’s clandestine surveillance programs. Snowden was charged with theft, “unauthorized communication of national defense information” and “willful communication of classified communications intelligence information to an unauthorized person.” The last two charges were brought under the 1917 Espionage Act, which allow for the issuance of an international arrest warrant against him. Russia, which has no extradition treaty with the US, said it would be under no obligation to hand over a US citizen. Foreign Minister Sergey Lavrov has previously said Russia would be willing to consider an asylum request from Snowden. However, an unnamed security official told RIA-Novosti news agency on Monday that no orders for Snowden's arrest have been dispatched through Interpol to Russian law enforcement agencies. Speaking from Hanoi on Monday, Patino said he did not know Snowden’s current whereabouts, or where the whistleblower planned to travel next. The Ecuadorian FM, who read a letter in which Snowden likened himself to Bradley Manning, the US army private who is currently on trial for leaking classified information to WikiLeaks, intimated that the former NSA contractor’s asylum request would be considered on human rights grounds. Following news that Snowden’s passport had been revoked, State Department spokeswoman Jennifer Psaki said he "should not be allowed to proceed in any further international travel, other than is necessary to return him to the United States." That Snowden could leave Hong Kong on an invalidated passport despite the charges leveled against him speaks volumes about the fallout from the United States sweeping surveillance activities. And despite the massive troves of information the US government continues to cull both at home and abroad through PRISM and related surveillance programs, one critical fact remains elusive: where in the world is Edward Snowden?